There are two prerequisites that you must meet. Firstly, the remote location should have a SSH server setup at its end. 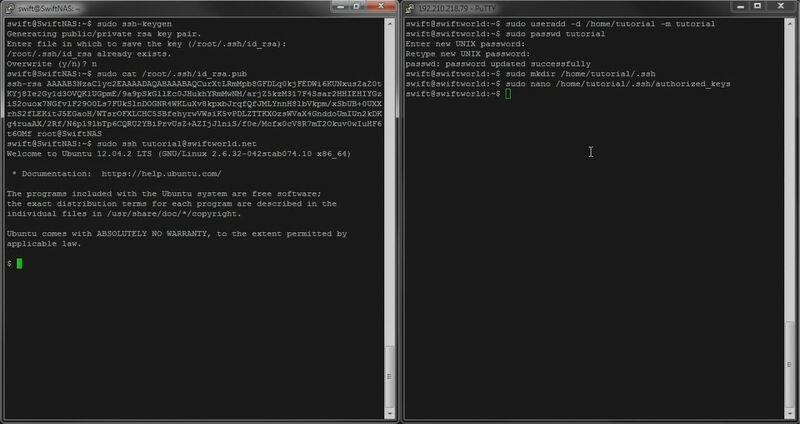 Secondly, the SSH server should be using a key authentication instead of password. A key authentication based login is more secure and will also allow for the commands to work. Now the command interface will produce the authentication key (try brute forcing that). Simply select the whole content (starting with ssh-rsa and ending with root@whatever) and copy it (if you’re using Putty simply highlighting everything will bring it into your clipboard). rsync should run and you will see that /local_data will be present in /remote/backup. Just a tip, you can reverse that command around to “pull” data from a remote location into your server. This will allow you to backup data from that remote location into your local server. Once you see everything all working, you can enter it into your crontab schedule! (read the previous guide to learn how to do that. Simply change the execution command portion into the one above).